According to reports, when you unlock your phone, a small flower springs up beside the ‘G’ logo on the search bar. Additionally, the logo turns green. After a few seconds, the flower goes away, and things return to normal. It’s subtle and cute without being overly intrusive. On my Pixel 2 XL running Android Q, a small box appears titled ‘Preferences.’ Tapping it opens a settings menu labelled ‘Searchbox effects’ with a toggle to turn the animations on and off. 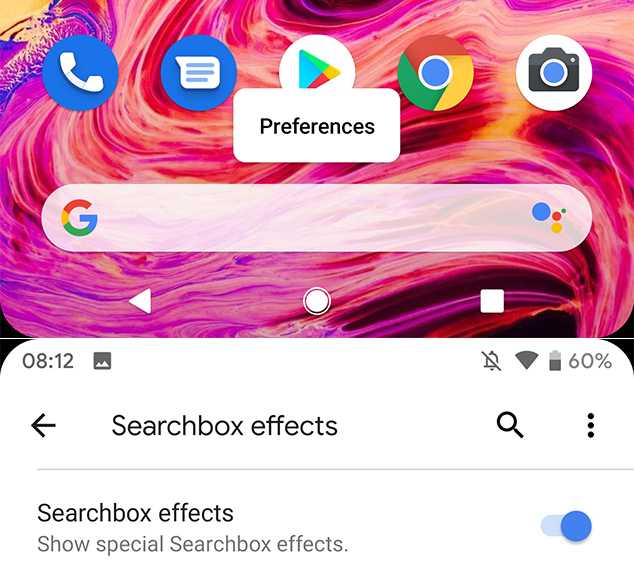 However, users on an older version of Android may have to tap an overflow menu button, then tap Preferences to see the Searchbox effects menu. For those who don’t have animation, you can still check out the Doodle by opening the Google ‘Discover’ feed to the left of the home screen. It’s not quite as cool as the search bar animation, however.